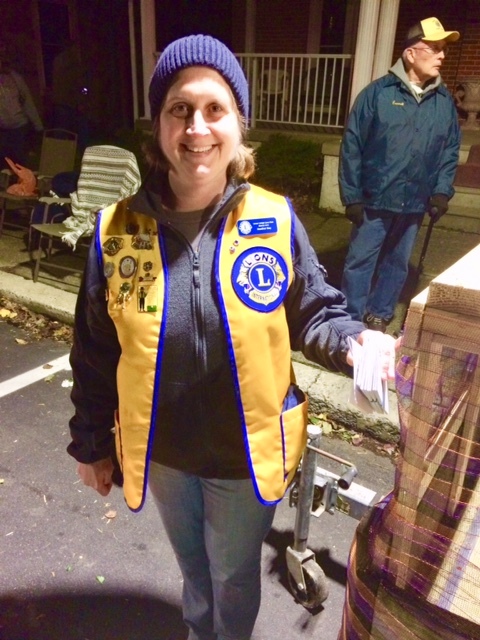 On November 3, 2018 the Lower Lehigh Lions Club sponsored the 2018 Macungie Halloween Parade. We had to delay the parade for one week due to rain on the original date. Lion Dave Briggs serves as our parade chairperson and Lion Heather Day was his assistant for this year's event. We had 4 divisions and approximately 51 groups/floats/others participated in this Fall event. Prior to the parade, a Fun Run took place under the leadership of Mick Seislove. Mick and his team provided much support and funding for our club via this Fun Run. Thanks to Mick and his team. Each division in the parade had its winners and each kid who participated in the parade was given $1 as they finished the parade circuit. Thanks to all who made this another great parade this year. We especially thank our members who served as parade formation leaders and those who were judges for the various prizes. The large crowd lined Main Street and was treated to a great treat with bands, floats, firetrucks, police cars, tractors and much more. 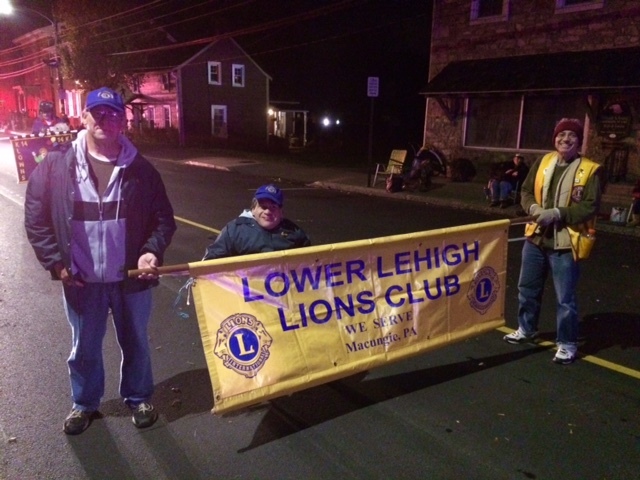 The Lower Lehigh Lions Club serves the Macungie area in Lehigh County. We provide an on-going support for the visually impaired, hearing impaired, students and families who are in need. Whether a student needs glasses...or a family who is in financial distress....or an individual who has some health issues...or a group who requires some financial or in-kind assistance.....WE ARE THERE because......WE SERVE. In addition to these services, our club provides some activities for the public ... Flea Market (September and May), Chicken Barbecue (June), BINGO for the residents at the Cedarbrook facility (March) , Halloween Parade in Macungie (October), and our club members work at the Lehigh Valley Iron Pigs baseball home games as assistants in many concession areas. We are proud to be members of the largest service organization in the world...The Lions Clubs International.